On 1 March 2017, people gathered in Brazzaville, Congo, to celebrate the second Africa Day for School Feeding. Every day, 370 million children around the world receive food at school provided by their governments. Governments invest in school meals because they are a powerful tool towards ending malnutrition, helping to ensure that every child has access to education, health and nutrition. School meals not only provide nutrition and energy to students, helping them concentrate and learn, they also provide a strong incentive for parents to send their sons and daughters to school, increasing enrolment and retention rates (the percentage of students staying in school from one academic year to the next). According to UNICEF, 15 percent of girls in the country are married by the age of 15, and less than 8 percent of women and girls have received a secondary education. Despite the levels of gender inequality, individuals, organizations and the government are taking steps to bridge the gender gap. 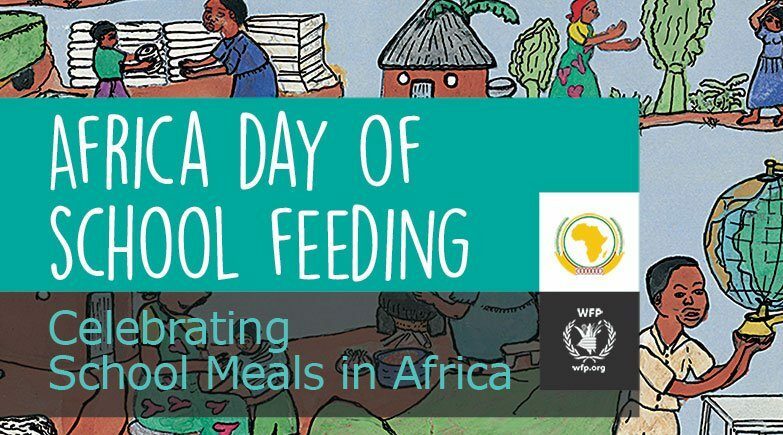 The Africa Day for School Feeding was instituted by the Assembly of Heads of States and Governments during the 26th African Union Summit in January 2016 (Assembly/AU/Dec. 589 (XXVI), in recognition of the immense value of home grown school feeding in improving retention and the performance of children in school. In addition, school feeding programmes are also dedicated to boosting income-generation and entrepreneurship in the local communities. The official continent-wide celebration was held under the patronage of the Congolese government, to the theme: “Home Grown School Feeding: Investment in Youth and Children for Harnessing the Demographic Dividend”. The colorful ceremony was complemented by a series of official events in the Congolese capital. Senior government officials and ministers from African governments including Niger, Ethiopia, Guinea Bissau, Chad, Zimbabwe, and Senegal participated in the event. Also in attendance were the African Union Commissioner on Human Resources, Science and Technology, the WFP Centre of Excellence against Hunger in Brazil, the WFP Regional Office in Dakar and Liaison Office in Addis, development partners, and members of the diplomatic corps. Minister Claude Alphonse Silou, representing the Prime Minister of the Republic of Congo. After the opening ceremony, a ministerial panel on South-South cooperation discussed the countries’ experiences in school feeding programme implementation. Zimbabwe, Guinea Bissau, Senegal, Chad, Niger and AU delegates presented their challenges and lessons learned in the path to create, develop and improve their national programmes. Zimbabwe highlighted the effects of the study visit to Brazil, which contributed to the launch of a national school feeding programme in the country. A technical expert of the Centre is supporting the government jointly with the WFP country and regional offices on a national strategy for school feeding programme. Participants also made a field trip to a school close to Brazzaville to get to know the local school feeding programme.